Abu Dhabi - December 2011: Emirates Wildlife Society in association with WWF, better known as EWS-WWF, is calling on UAE residents to adopt sustainable living practices, and be mindful of how their daily actions impact the natural environment. The call to action comes as part of the organisation’s 10th anniversary celebrations this month, which marks a decade of environmental conservation in the UAE. 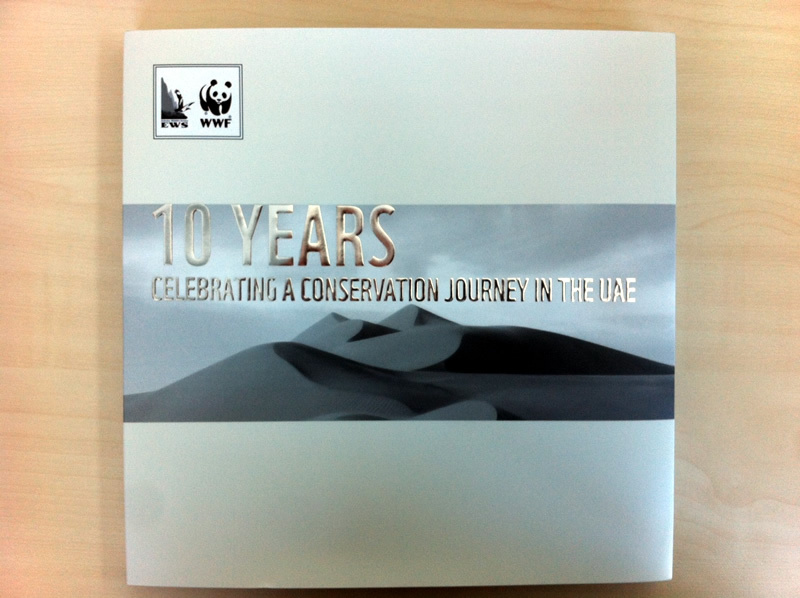 During its 10 year history, EWS-WWF has become known as a leader in environmental conservation in the UAE, helping to address key conservation and environmental issues by successfully implementing projects that seek to tackle climate change, conserve biodiversity and address the UAE’s Ecological Footprint. Established in 2001 to help drive positive environmental change, the Emirati non-profit organisation is committed to working in partnership with the government, NGOs, companies, institutions and individuals to facilitate environmental action and help lay the foundation for a sustainable future for the UAE and the region. During the last decade, raising awareness and empowering environmental action in the community has been an integral element in all of EWS-WWF’s conservation, education and policy projects. The organisation has also initiated several awareness campaigns such as Heroes of the UAE, Choose Wisely and Earth Hour, by working closely with the community. Commenting on the organisation’s 10th anniversary, Chairman of EWS-WWF, His Excellency Mohammed Ahmed Al Bowardi said: “Throughout its journey, EWS-WWF has stayed committed to its key founding principles; helping to protect and preserve our natural heritage. By striving to achieve shared goals in protecting the natural environment and underpinning a sustainable future for the country, EWS-WWF has worked closely with the community to elevate environmental consciousness and empower all UAE residents to become part of the solution." EWS-WWF has been successful in implementing several conservation and education projects, such as the Marine Turtle Conservation Project, Wadi Wurayah, Coral Reef Conservation, Blue Flag, Be’ati Watani and Eco-Schools. Another key focus area for EWS-WWF, as previously mentioned, is tackling climate change and reducing the UAE’s high per capita Ecological Footprint. It was a key partner in Al Basma Al Beeiyah (the Ecological Footprint Initiative), and has been collaborating closely with WWF to validate the country’s footprint as part of the WWF’s bi-annual Living Planet Report. The impacts of climate change are expected to be felt across the region and the globe, posing pressure on our energy, food and water security. Our high consumption patterns are leaving their marks on the natural environment. With species driven to extinction and important habitats vanishing, the need for environmental action is more evident than ever, as we face growing challenges that threaten our seas, deserts, mountains, and natural resources. Recognizing the importance of EWS-WWF’s collaborative approach, Her Excellency Razan Khalifa Al Mubarak, EWS-WWF’s Managing Director, calls on UAE residents to continue to work together to tackle environmental challenges: “The successes we are celebrating this year are the triumphs of all of us, and could not have been achieved without the committed support of sponsors, partners, volunteers, media, teachers, students and the UAE community. ”There is also pride to be felt in the UAE’s own strides towards sustainability, with ambitious initiatives and plans set to guide the country towards a more environmentally viable future,”. 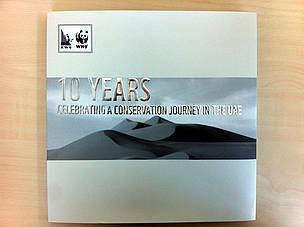 EWS-WWF celebrated its 10th year in a private event held in Dubai, attended by key stakeholders and supporters.